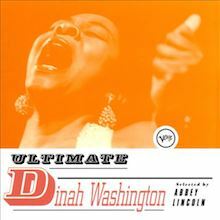 Dinah Washington was one of the greatest female vocalists to have sung jazz and popular music in the 20th century. 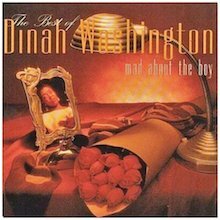 Her style and delivery have been emulated by many that followed but few have had a voice to match the Divine Miss D. Her life was the stuff of movies, but even Hollywood shied away from trying to capture it on film as it was just too complicate – She sang ‘Mad About The Boy’ and she certainly was, she married 8 times in all. Fortunately her immense talent on record has been well documented and she sounds as good today as she did when she made all those classic albums. Born in Alabama, Ruth Lee Jones grew up in a staunch Baptist family in Chicago, singing and playing piano in the choir at her local church and quickly becoming adept at gospel’s characteristic off-beat, syncopated rhythms and bent or sliding notes. At the age of fifteen, she performed “I Can’t Face The Music” in a local amateur competition hosted at Chicago’s Regal Theatre, won and was soon performing in Chicago’s nightclubs, such as Dave’s Rhumboogie and the Downbeat Room of the Sherman Hotel. 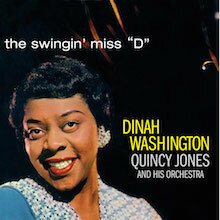 Her breakthrough came in 1942 when she was spotted by Joe Glaser, Louis Armstrong’s manager, while she was singing in the Garrick Bar to supplement her washroom attendant’s income. 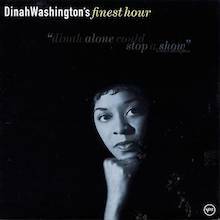 On Glaser’s recommendation she joined Lionel Hampton’s band in 1943, taking the name Dinah Washington, given to her either by Glaser or Joe Sherman, owner of the Garrick Bar, no one is quite sure. In 1943, Washington recorded a blues session with a small ensemble drawn from Hampton’s band. Directed by Leonard Feather, they recorded his song “Evil Gal Blues” and made it a hit. After her three years with the Hampton band, Washington’s popularity grew and she began headlining R&B sets. Washington recorded the album Slick Chick (On The Mellow Side) (1946) for Mercury Records at sessions in 1946; the bluesy feel of this record was a template for much of her career. 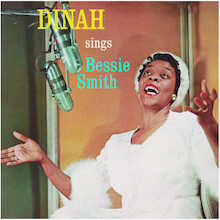 As a solo artist in the years that followed, she achieved notable success, notching up an impressive number of hits in the R&B charts, including “Ain’t Misbehavin’” in 1948 and “Am I Asking Too Much”, which topped the R&B chart later that year. Over the next four years she was almost never off the R&B charts, with “Baby Get Lost” becoming her second No. 1 record in 1949. Washington went on to gain wider popularity through mainstream success in the Billboard pop chart with her 1950 recording “I Wanna Be Loved”, which reached No. 22. 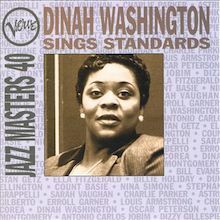 Among the many album highlights of her career was Dinah Jams (1954), recorded with the Clifford Brown/Max Roach. During this time she also recorded a variety of sets with small combos as well as big bands. This period included sessions with an impressive array of musicians, such as Ben Webster, Clifford Brown, Clark Terry, Cannonball Adderley, Jimmy Cobb, Max Roach, Wynton Kelly and Joe Zawinul, who would tour and record with Washington from 1959 to 1961. 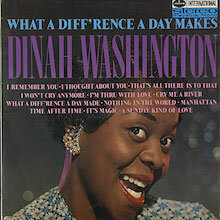 By the time she released her version of the Dorsey Brothers track “What A Diff’rence A Day Makes” in 1959, a record that went to No. 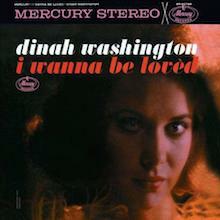 8 on the pop charts, Washington was a regarded as a reputable mainstream artist. 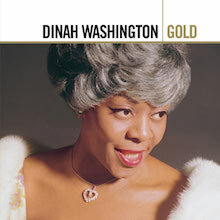 Washington had not abandoned her first love of jazz and frequently headlined at high-profile jazz festivals; her performance on “All Of Me” in the 1959 movie, Jazz On A Summer’s Day (1959) filmed at the Newport Festival, showed off her credentials perfectly. She performed at renowned jazz venues like Birdland and late in her career, also played with jazz greats Count Basie and Duke Ellington. Her personal life was complicated and turbulent, with numerous relationships including eight marriages and a number of illicit affairs. Having battled with her weight for much of her life, tragically she had a fatal heart attack at the age of thirty-nine, triggered by a combination of diet pills, alcohol and sedatives. We lost one of the greatest singers to have graced this earth. 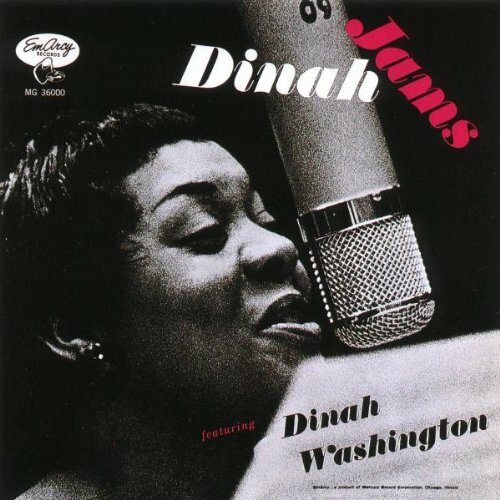 Dinah Washington – The Swingin' Miss "D"